I left the Lisbon area this morning and caught the train to Faro. The journey only cost me around €21. That’s not bad for a distance thats over 200km and I had the opportunity to enjoy the scenery. There’s an old song about England’s green and pleasant land, but the UK has nothing on Portugal. Everything looks so green and alive. I also saw a number of very large birds roosting on top of chimneys and other high places. I’m not an ornithologist, but I’m sure they were cranes. I’ve got a room in the Montenegro area tonight, but I’m leaving in the morning and going to a hotel closer to the centre of the city. Unfortunately I won’t have much time to explore the area because I’m travelling by bus to Granada in the early hours of Sunday morning. When I first came to Portugal a couple of months ago, I planned to spend four weeks in the Algarve. That didn’t pan out the way I hoped it would. When I was looking for accommodation a couple of weeks ago, the cheapest room I could find was over €300. I didn’t want to pay that much, but I may have considered it. The problem was, the room was in a hostel. I find it hard to concentrate on my work when I’m living in hostels and there isn’t as much privacy as I’m used to. On the other hand, they can be a good place to meet interesting people. I like to stay in them occasionally, but four weeks is too long. 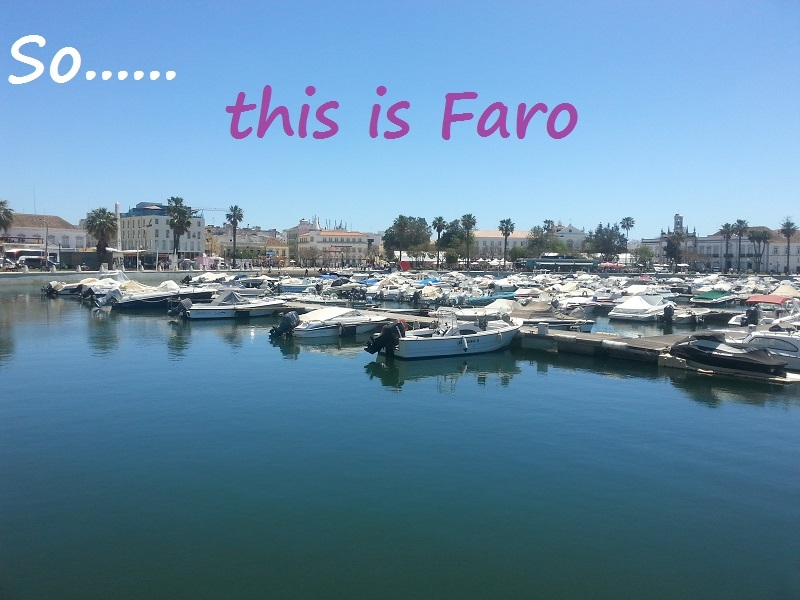 I had to pass through Faro anyway on my way to Granada, so I thought I’d allow myself a couple of days here. That’s not going to happen because the there were fewer options for the journey than I’d hoped and the nine-hour bus journey cost me around €53. That’s pretty expensive if you compare it to the cost of my trip from Lisbon to Faro. In fact, it’s about the same as I paid for a round-trip plane ticket from Amsterdam to Seville earlier in the year.